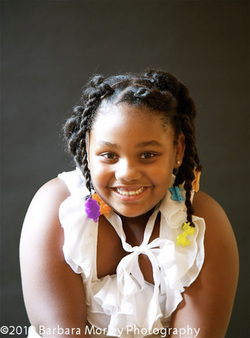 About The Author - "Not fat because I wanna be"
LaNiyah Bailey is a 7 year-old, first grader from Chicago. In such a short period of time this 7 year-old, has been through a lot. Born on October 9, 2004, she came into the world “smiling” weighing in at 6 lbs 9oz. LaNiyah has a cool and true story to tell about how she now deals with kids taunting and teasing her because, they consider her “different.” LaNiyah had to learn that everyone is not your friend and that the old saying: 'Sticks and stones may break your bones, but words will never hurt me, was not true.' She learned that words can hurt a lot more than sticks and stones. But, with the love and support from her family, she has overcome many obstacles, which is why she wanted to share her story and let the world know, that there are other reasons some people are not "normal" and we should look at a person’s heart and intentions, versus what they look like on the outside.